Samsung has recently launched a new budget-friendly camcorder, the Samsung HMX-QF20, which comes with a range of new features over the previous model including an enhanced switch grip function and WiFi capabilities. With new Samsung HMX-QF20 camcorder you can send quality video video directly from the camcorder to social networks like Facebook and Youtube, and images directly to Picasa, for example. The heart of new Samsung HMX-QF20 is the 5 MP 1/4.1″ CMOS Low Light sensor. This large sensor is designed to increase the amount of light captured during recording. 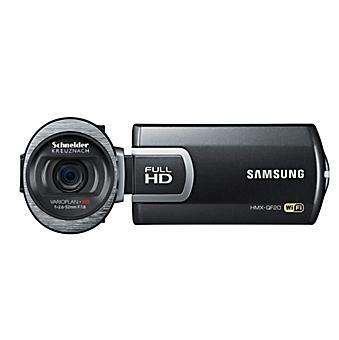 The Samsung HMX-QF20 is capable of recording HD video at 1080i and 720 resolutions. 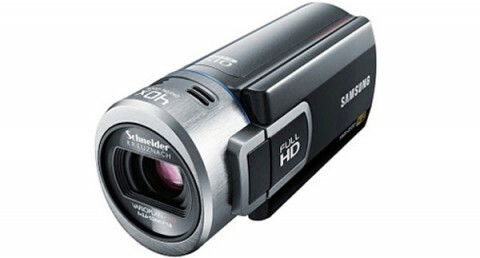 The Samsung QF20 is equipped with a Schneider-Kreuznach Varioplan-HD 29.6 mm wide-angle lens capable of 20x optical zoom. The Samsung HMX-QF20 also features DOIS (Dual Optical Image Stabilisation). The Samsung HMX-QF20 also features a 2.7″ LCD touchscreen monitor ( 230,000 dots) that provides crisp, clear images, natural colors and deep detail. There are not many reviews available yet because it is a new camcorder. However, you can find more details on bhphotovideo.com website, or you can watch a short presentation of Samsung HMX-QF20 on youtube.